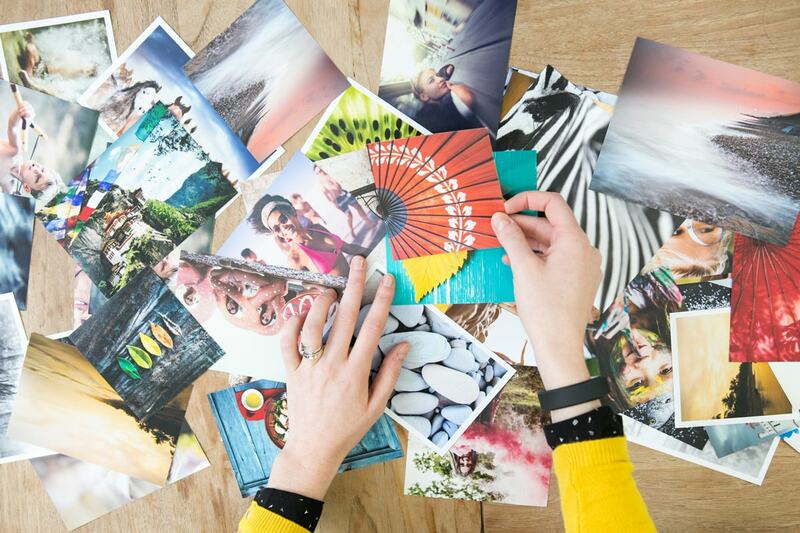 Brighten up your walls and display all your favourite photos with an eclectic photo collage. 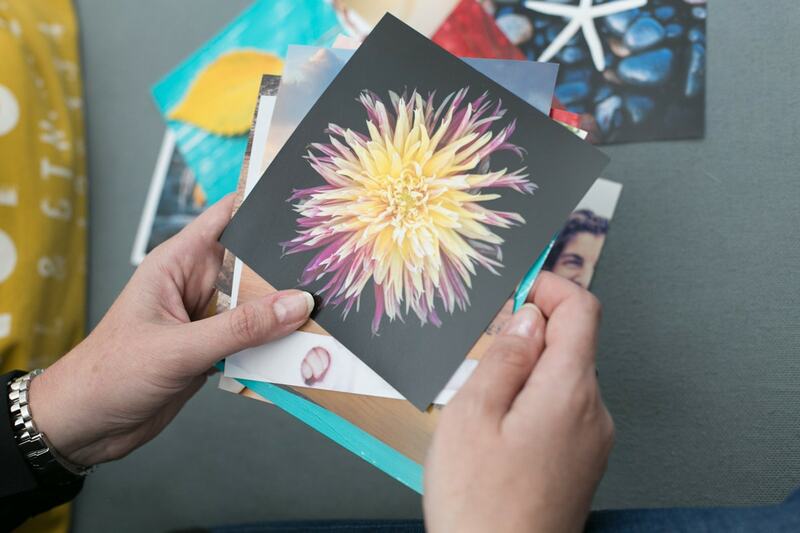 Create your own photo collage with these four creative tips and transform your walls into a mini art gallery. 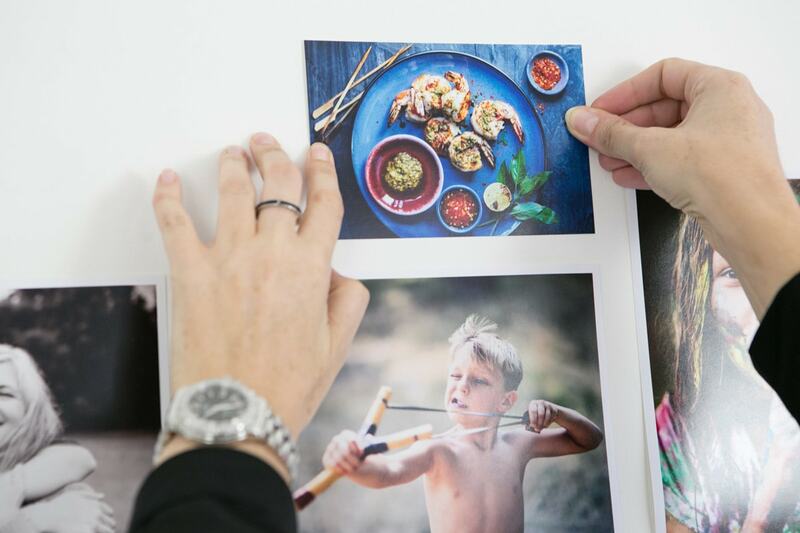 Show off your favourite moments in an eye catching way with different photo print formats and sizes or introduce some wall art to the mix for a sophisticated finish. For more inspiration watch our video that shows you how to reinvent a space with wall art and prints. 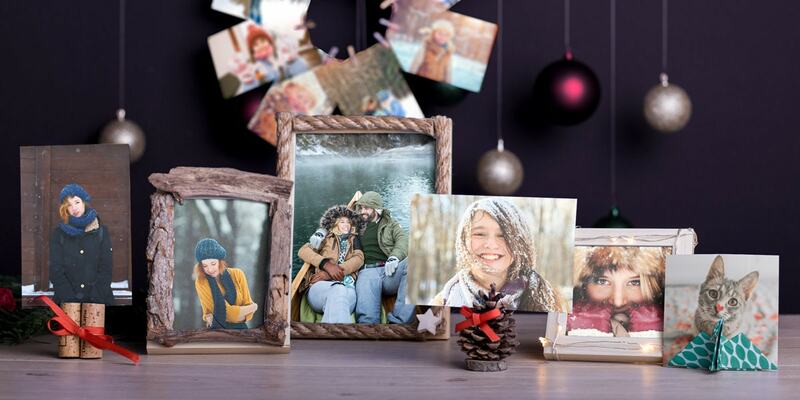 Arranging your photo collage into a shape is a fun way to bring your walls to life. Stars, circles and triangles all work well but there are no rules! Be creative and you’re sure to get eye catching results. Stick your prints to the wall and enjoy! 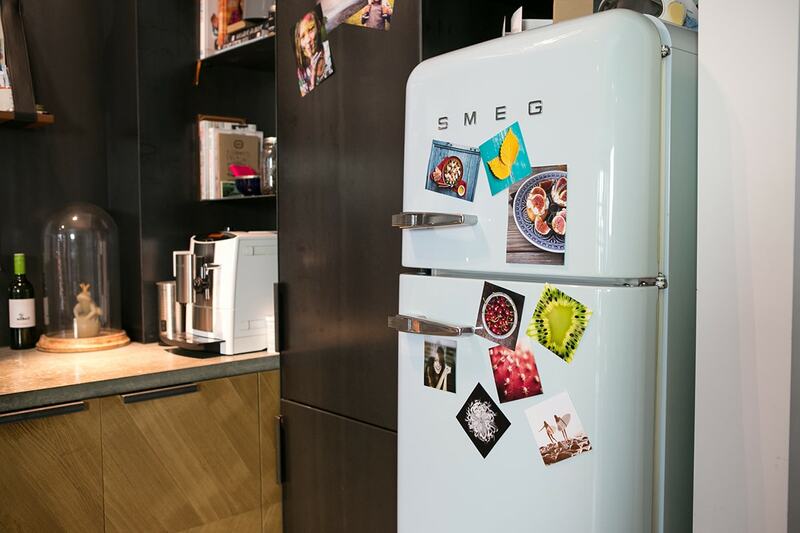 Creating a photo collage on an everyday item like your fridge will make your kitchen look quirky and cool. 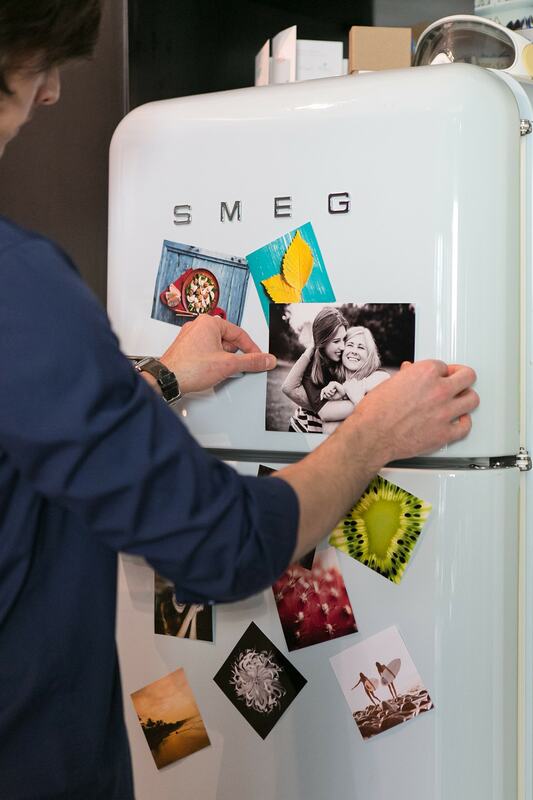 Select the photos that you’re going to display and then either use double sided sticky tape or small magnets to attach them to the fridge. Use as many photos as you like for this collage and overlap them for a casual effect. Colourful photos will give your fridge (and your whole kitchen) a new lease of life. 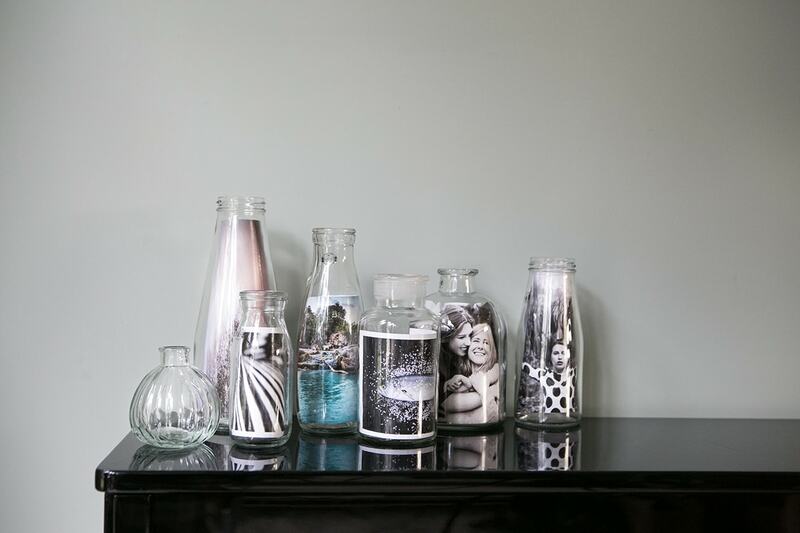 Coming up with creative ways to display your photo prints is part of the fun and rolling them up in to clear glass bottles is sure to catch attention. 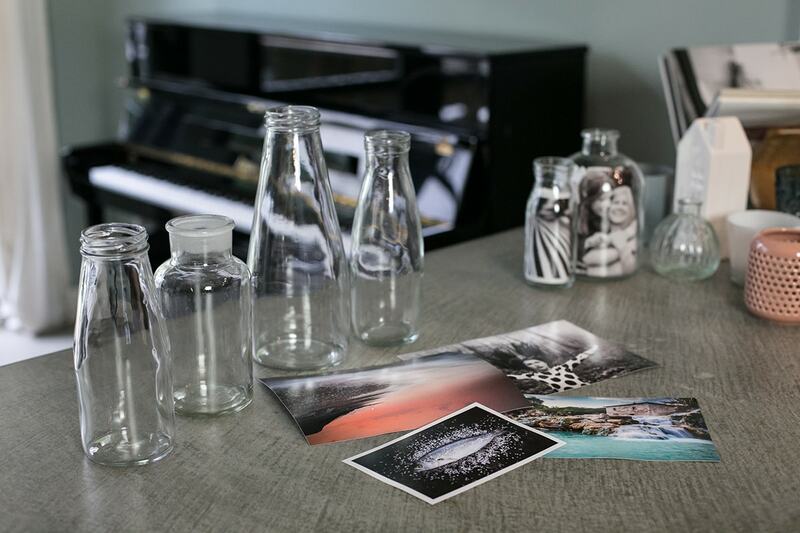 Get hold of some different sized bottles along with some photo prints in different formats. They don’t need to match – the more mismatched the better! 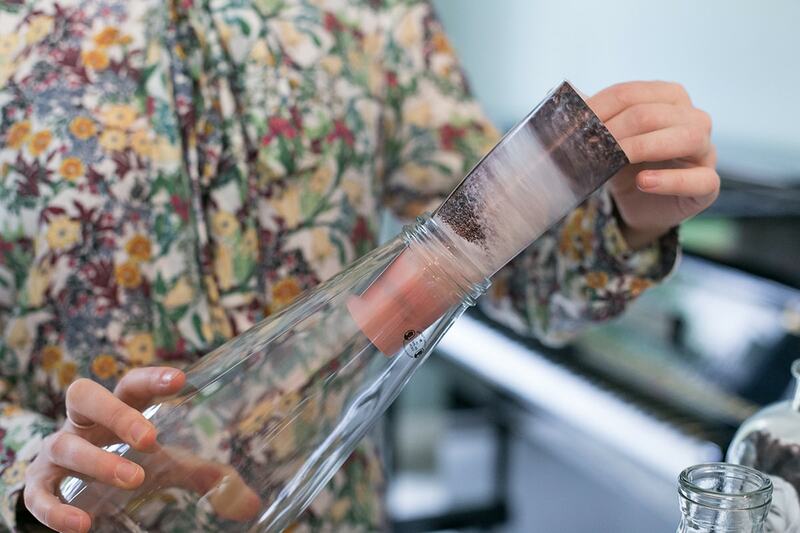 Carefully roll the prints and slip them into the bottles and wiggle them around until they’re in the right place. Display the bottles in a cluster on a shelf or surface with the smaller ones at the front. 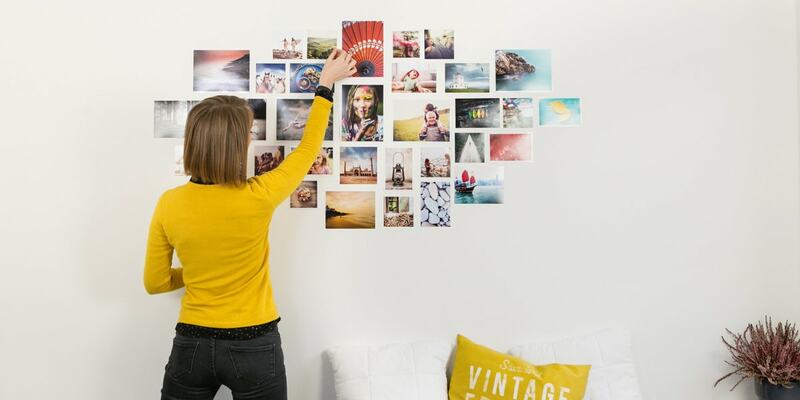 When you’re making your photo collage, don’t forget about wall art. 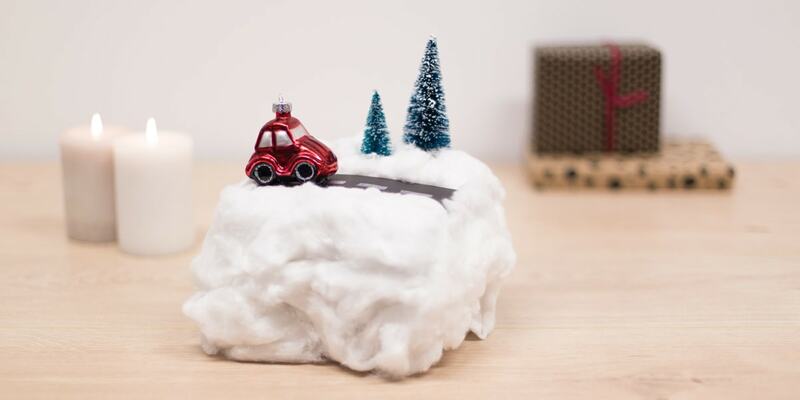 There are lots of materials and finishes available so you can create the display you want. Use a series of photos from one event to create a themed display or opt for photos all with the same colour palette. 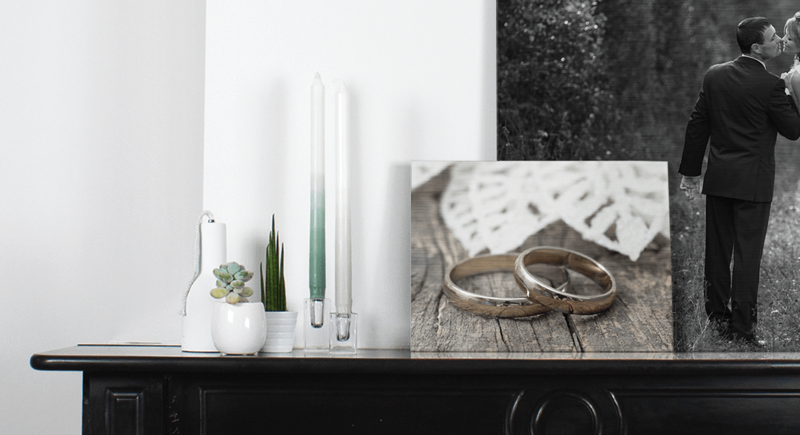 Display your wall art collage on your fireplace and mix it with photo prints for an eclectic mix. Feeling inspired? Create your own photo collage with your favourite prints or use wall art for a display that you’ll love looking at every day. 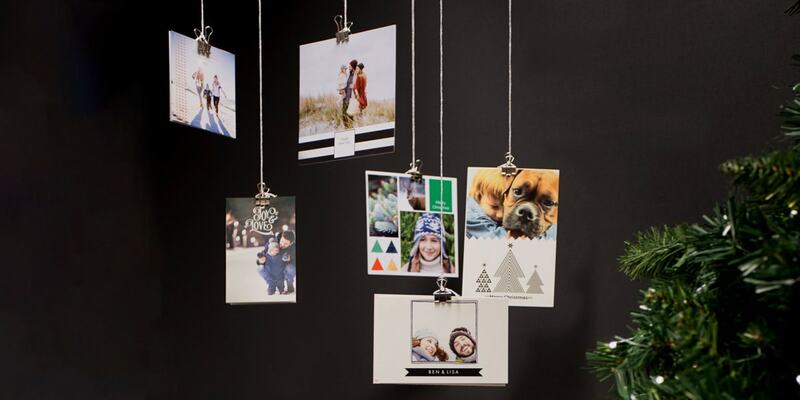 We’ve also got tips on hanging your photos and lots more ideas for creating a unique photo wall. We love seeing your creations so use the hashtag #myalbelli and show us your photo collage for a chance to win an albelli voucher and be featured in our gallery.